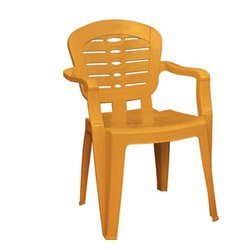 Specially designed for the highest level of comfort, we offer our range of With Arm Plastic Chairs that are made from high quality Polypropylene plastic material to ensure long service life. Their enduring designs and quality construction make them durable performers in any environment. Available in a variety of designs and colors, these plastic chairs are economically priced. 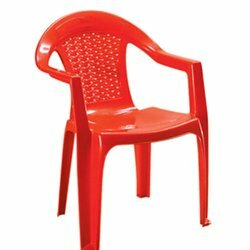 Our exclusive range of moulded plastic chairs are light in weight and provide maximum comfort. 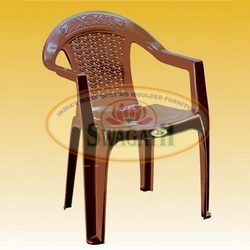 Standard and dependable, the polypropylene SW 201 belongs to one of the most widely sold series of plastic moulded chairs by Swagath. 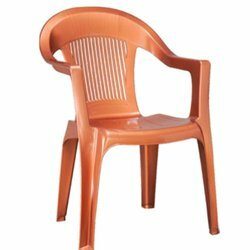 We are leading supplier of Plastic High Back Chairs with Arms. The polypropylene SW 204 is another powerhouse design from the house of Swagath. Wherever this product has been launched, it has brought in the numbers for Swagath. The SW 302 has a one of a kind design. Made from fine polypropylene, it has performed very well in the market. 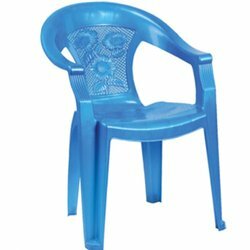 We are leading supplier of A webbed backrest and the sturdy legs are the highlight of this polypropylene chair, the SW 304, a best seller as far as sheer numbers go. A webbed backrest and the sturdy legs are the highlight of this polypropylene chair, the SW 305, a best seller as far as sheer numbers go. The most commonly seen design in the field of moulded plastic furniture, the SW 307 is made of fine polypropylene and is one of the very basic models that Swagath manufactures. Ergonomically designed, with pressure points equally distributed along the backrest, this polypropylene chair is one of the highest rated chairs in the SW fraternity. The backrest of this polypropylene chair has a full sun engraved. This is one of the most illustrious additions to the SW family. The SW 405, made of fine polypropylene, has a rising sun engraved on its backrest. 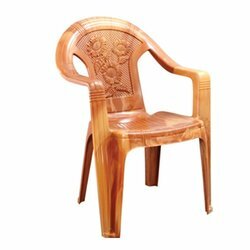 Swagath sells a lot of chairs in this design. 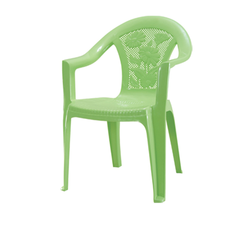 SW 601 is one of the many moulded plastic chairs that are manufactured and marketed by Swagath. 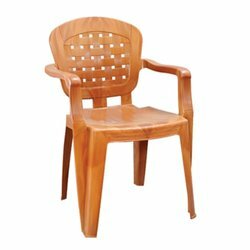 Built from the best quality polypropylene, it is a very handy chair that can be used across all ambiances. Weather-proof, stackable and colorful, the SW 604 is moulded from 100% virgin polypropylene and is suited for both indoor and outdoor use. Stackable. Colourful. All weather utility. These three phrases amply describe the 100% virgin polypropylene moulded SW 605, manufactured and marketed by Swagath. Use the SW 901 for utilities across indoor and outdoor ambiances. Stack it up. Do a lot more. The moulded, 100% virgin polypropylene chair will rise to the occasion. 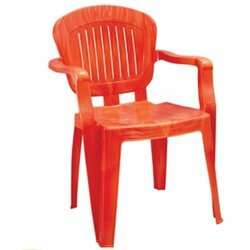 We are leading supplier of Plastic Medium Back Chair with Arms. Use the SW 902 for utilities across indoor and outdoor ambiances. Stack it up. Do a lot more. The moulded, 100% virgin polypropylene chair will rise to the occasion. 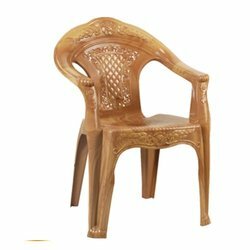 We are leading supplier of Plastic Medium Back Chair with Arms. We can use this chair in indoor and outdoor ambiances. Stack it up. Do a lot more. The moulded, 100% virgin polypropylene chair will rise to the occasion. The SW 1101 happens to be one of the many best sellers of Swagath. 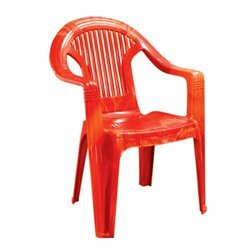 Moulded from 100% virgin polypropylene, this durable plastic chair can endure the weight of your expectations. We are leading supplier of Medium Back Plastic Chair with Arms. 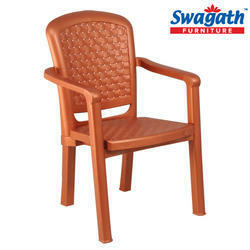 Swagath excels in moulded furnishing and in this range of SW it provides 100% virgin polypropylene moulded chairs. SW 1102, with petal design on the backrest and in subtle color, it provides a suitable choice for this festive season. Webbing shaped moulded plastic backrests form the character of the SW 1103 collection from Swagath. 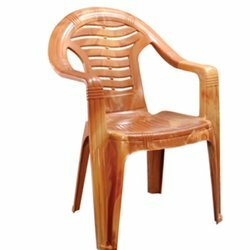 100% virgin polypropylene chairs that can be stacked, as well as used in all ambiances and in all kinds of weather, they are best sellers from the house of Swagath. Swagath excels in moulded furnishing and in this range of SW it provides 100% virgin polypropylene moulded chairs. SW 1104, with petal design on the backrest and in subtle color, it provides a suitable choice for this festive season. SW 1201 is one of the most popular choices among our customers. 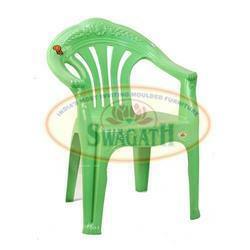 This chair comes from the range of 100% virgin polypropylene moulded furniture from Swagath. Easy to stack and move these chairs are also heat and rain resistant. Attractively colorful and durable in nature SW 1204 is the product of the 100% eco-friendly virgin raw materials. This standard, dependable and lightweight chair is perfect for any kind of ambiance. Rich colors and a high-rise backrest define the collection of SW 1401. 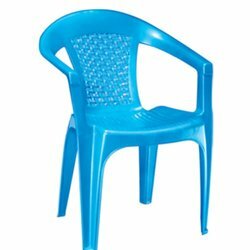 A 100% virgin polypropylene moulded chair, it is very handy and can be easily used in any kind of weather. SW 1402 is just another handy model of the Swagath exclusive products. 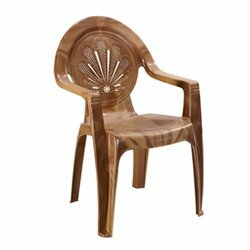 This elegant eco-friendly polypropylene moulded chair having a unique design and earthy color is easy to stack and is also perfect for indoor or outdoor uses. Made from the 100% virgin polypropylene, SW 1403 has one of a kind design. It is of hassle-free use in any weather conditions. With flowers engraved on the backrest of SW 1404, it provides for a comfortable relaxation. 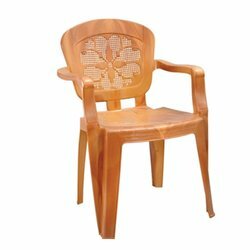 This high-grade polypropylene product and weather friendly chair is a customers delight. This is one of the most contemporary designs produced by Swagath. The bright color, spacious armrest, strong and sturdy plastic legs, makes it one of the items that you must add to your furnishing. Produced from high-quality polypropylene material, SW 1501 is also easily portable and stackable. The highlights of SW 1502 are the funky design and color that is suitable for various ambiances. This polypropylene product promises durability and usage in any weather conditions. One of its kinds SW 1503 belongs to the range of the most contemporary lineage. The refreshing color with easy to stack features, the chairs are moulded from 100% virgin polypropylene and can be used for any indoor or outdoor purposes. 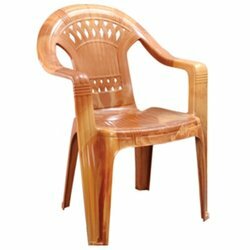 With a beautiful pattern engraved on the backrest, this adds color to the latest collection brought to you by Swagath. 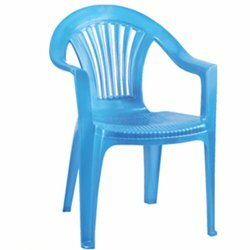 This polypropylene moulded chair can be stacked easily and used in different weather conditions. The 100% virgin polypropylene moulded chair has a classic design on the backrest and is easy to stack. It is suitable for any ambiance and in all weather conditions. 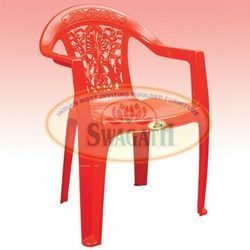 Uma Plastics limited, an ISO 9001:2008 & 14001:2004 Certified Company, occupies pride of place in the manufacture of moduled furniture under the brand name Swagath. Amaze, moulded from the finest polypropylene, is one of the stable products that Swagath manufactures and markets. Webbed backseat with strong and high-quality plastic legs, SW 1202 is a must buy. 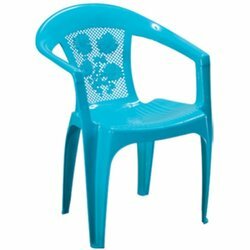 The 100% virgin polypropylene chairs are easily stackable and user-friendly for any kind of indoor and outdoor purposes. 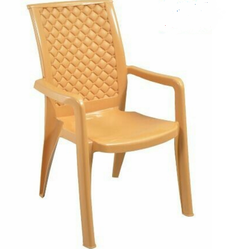 We are leading supplier of Durasmart High Back Plastic Chair with Arms. Spacious heavy duty armchair moulded in virgin polypropylene featuring a unique backrest design with cutouts and a comfortable moulded seat. The fashionably designed dazzling backrest in a contrasting color makes it look very attractive. The strong and sturdy Vogue chair is available in various colors with different back color options. The shape of this modern and classic combination chair makes it inviting and suitable for a variety of seating areas. 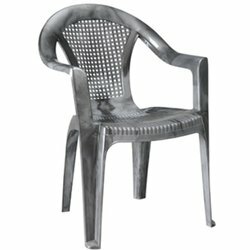 This matte finish chair is suitable for outdoor as well as indoor use. 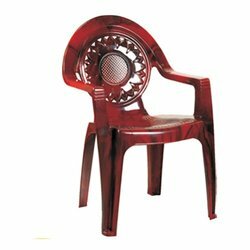 We are leading supplier of Vogue Black and Red Chair. The fashionably designed dazzling backrest in a contrasting color makes it look very attractive. 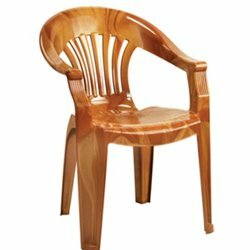 The strong and sturdy Vogue chair is available in various colors with different back color options. The shape of this modern and classic combination chair makes it inviting and suitable for a variety of seating areas. We are leading supplier of Weave Copper Chair. The shape of this modern and classic combination chair makes it inviting and suitable for a variety of seating areas. This matte finish chair is suitable for outdoor as well as indoor use.